The Chesterhill Produce Auction (CPA) will now be open for business two days every week from now until October! The auction will be open every Monday and Thursday, selling a variety of different produce, cottage industry goods, and various other items during the next five months. To check out what has been selling during the past few weeks, follow this link. 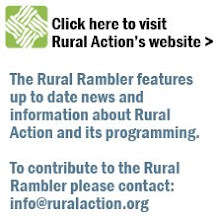 For more information about CPA or Rural Action Sustainable Agriculture, contact Bob Fedyski (bob@ruralaction.org) or call Rural Action's offices (740.767.4938).